Every year at least 5,000 American teenagers die on the roads. This is more than any other tragedy. Of those 12.6% are fatal, which are four times above that of older drivers. The most fatal happens at the age of 16, which is now up at 40% to that of 18 year olds. On an average day we see 10 American teens killed on the roads. Answering calls and teenagers texting while driving is not uncommon. Although it is banned in most parts, you will see most teens reach for their phone because obviously this is more important. 56% of teens use phones when driving. The reaction time is obviously slower, especially for someone who has just started to drive. In fact it has been said that their skills are equal to those who are 70 years old. Speeding - there were various reasons why teens speed, but it is definitely not the same reasons why adults speed. Speeding for fun and to display their aggression in the traffic are some of the things that bring this on. Peer pressure - what would we do without peer pressure? There are all sorts of ways that one can relate certain thing to peer pressure and driving at crazy speeds with their friends in the car is just one of those things. Speeding plays a big role here and teens would say that they drive with more safety when their friends are not in the car or they don't feel as safe when one of their friends is behind the wheel. The fact that teens don't wear their seat belts puts them at a higher risk as well. In a survey it has been said that 45% of teens don't wear their seat belts and by not wearing a seat belt you are asking for a trouble should you have an accident. By looking at these stats, we can definitely see a pattern forming. If a couple of 16 year olds take the car out, they are unstrapped and they are going well over the speed the limit then we really don't have to scratch our heads and wonder why there are so many accidents on the roads. More research helps us understand why 16 year olds are even at more risk. It has been found that the part of the brain that helps with making impulse decision making is only fully developed by the aged of 25. This is vital for any driver, especially for someone who wants to push the speed limit. So what is the answer? In some areas the law has jumped in. Some states have decided to limit unsupervised driving for 16-year olds. Most countries only award licenses to 17 and 18 year olds. The restriction has shown some improvement, but this is not happening everywhere. There are also programs happening around us. Teen fatalities determines ones privileges for newcomers. There are different rules according to the state that you live in. These programs are doing some good, but we still see thousands of teens being killed every year. If the programs were improved where the rules were enforced to another level we may see a difference. Basically this comes down to impulses and making split decisions which a 16 year old is not able to make because of the experience level and also because the brain has not yet been developed to that point. There is no doubt that speed kills. A young driver will make more errors and this will be more difficult to get out of when you are going very fast. A car can roll off the road and it's not as easy for a young driver to control. It's also possible to roll the car in this state. They are the ones who are experimenting and they don't have the experience. Riding alongside their friends and having a good time is going to cause distraction. It is easier for a 16 year old to lose control of the car than it is for a 20 year old. Most of these accidents happen at night when it is more difficult to see what is going on in front of you, and this is when teens like to be out and about. Start off with a car that is less likely going to roll and which holds the road well. At least you can say you have done your part in a small way. If a teen is killed because of the car he was driving this can be really upsetting. Of course, the cars should also have a layer of protection, in case someone should bump into them. Before you hand over the shiny new car keys on your teen's 16th birthday take a couple of these things into consideration and definitely give them a curfew. 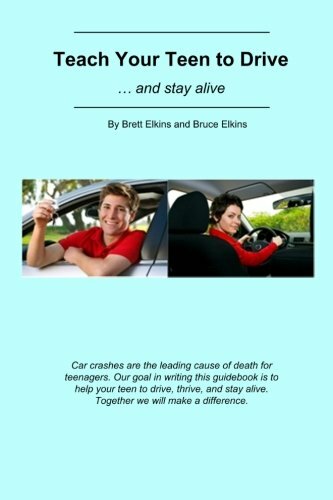 This has been written by a professional driving instructor with years of experience. He makes kids aware of various aspects associated with driving for the first time. This involves emergency situations, braking, and generally being aware to their surroundings. 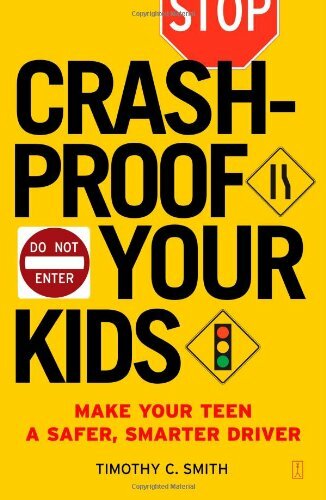 This is aimed at parents, geared to help their kids become better drivers and avoid fatal accidents. Statistics show that if you teach your kids about certain aspects related to driving, then the amount of accidents will be reduced significantly. 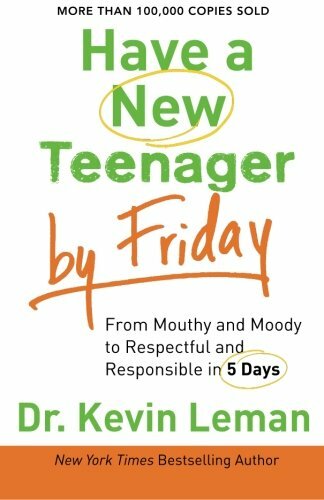 Dr Kevin Leman teaches parents how to cope with the teenage years. Having a rebellious, irresponsible teen in the home is not going to help with his or her driving skills. This book helps you deal with the situation right from the start.